If you need a public-facing logo for your business, one that will appear on signs and stationery and ads, one you and your customers will see every day you work, then you should get it professionally designed for several hundred (or thousand) dollars. If you only need something to put on your Facebook page and your monthly invoices, but you don’t have design skills or Photoshop, then you can get away with “customising” a logo on a free or cheap site. We tried several and found two that work well enough to recommend. 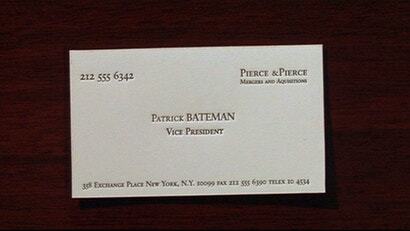 Business cards used be an important status symbol. When you got a box of cards, you knew you'd made it in the corporate world. These days, anyone can rustle up some cards and make themselves look more professional. But there's a world of difference between the impression made by a cheap card and by one that has a bit of class. Zazzle is offering some great deals on their cards with options like custom designs, premium papers and different shapes. Business cards are, to some degree, a remnant of a bygone era. But a flashy business card is a great way to make a lasting impression. For example, the infamous hacker Kevin Mitnick's business card is mode of metal and can be pulled apart to make a lock picking tool. And while that might be outside most people's budget, a professional looking card, designed with a bit of flair, can help people remember you when you next meet. The good news is you don't have to pay a designer a fortune to create one as there are plenty of sites that print high-quality custom business cards without busting your wallet in the process. Here's a look at five of the best. Android: Today, Evernote added the slick business card scanning feature from the iOS version to Android. 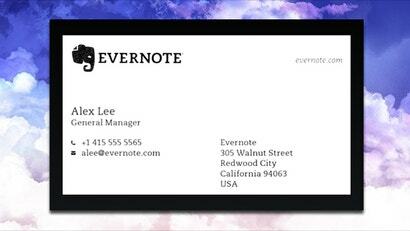 Simply take a picture of a business card and Evernote will parse the data and create a new contact for you. Handing someone your business card does not mean you will be added to their contacts. After all, digital contacts are available on every device, which makes it easy for others to get in touch with you. 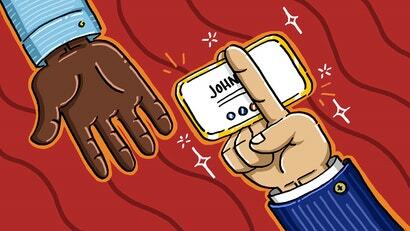 Here's how to go beyond paper cards and get into someone's real contacts list. When it comes to business cards, there is no end to the designs you can try out. However, if you really want to stand out, you might be better off sticking with something simple. The whole point of exchanging business cards was to feature in each other's address book or rolodex. But now that address books are digital, the physical business card serves little purpose other than a greeting token. Business cards are only effective if you have them when you need them. Owning a proper case to keep your cards neat and tidy is ideal, but you should consider keeping a few in your phone case too. Whether business cards are irrelevant or not, they're definitely a cool way to express yourself and easily provide your information. If you're looking to make some impressive cards, set aside a few hours this weekend (there's plenty of spare time with the Australia Day holiday!) and use these resources to help. Business card design is an art, but you don't have to dig into the details of graphic design just to make a simple card. UPrinting has listed a few ways you can use psychology to your advantage when designing your business cards. Looking to do a little professional networking? 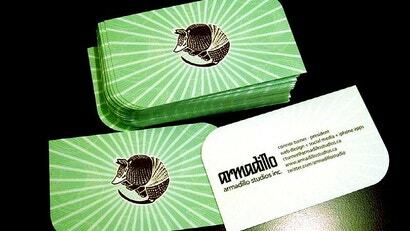 A business card can help, but quotes from local printing places often seem pricey. Thankfully, there are plenty of sites that print high-quality custom business cards without busting your wallet in the process. Here's a look at five of the best, based on your nominations. Although business cards may very well become extinct one day, most of us still have of a handful lying around. If you want to liven up your next networking event, it's surprisingly easy to turn a stack of your business cards into a tear-off pad. Is The Business Card Irrelevant? Business cards have long been the way we've shared our professional contact information with others, but thanks to the internet and smartphone apps their importance is dying out. It may be time to let go of the printed business card and put our focus on newer, more relevant tools. 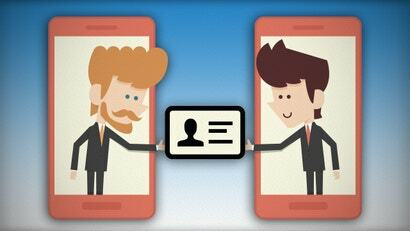 iOS: CardFlick is a free app for creating business cards directly on your iPhone or iPod touch. 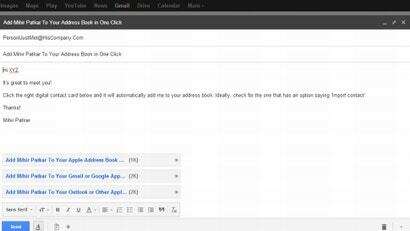 It comes with several themes and sending is as easy as sending an email or just flicking your card to another user's phone. Lifehacker reader Saul tells us about his unique business cards, which elicit interaction from other people to help them remember who he is. After accumulating a lot of business cards, it's easy to forget exactly why they were given to you or how you were supposed to follow up. You could write notes on the back, but a pen-less option is this corner-folding hack. Android: Today's update to Google Goggles brings improved business card recognition to the search-by-photo app, streamlining the process of converting a colleague's business card into a digital contact. Goggles had biz card recognition previously, but it has gotten much better at turning cards to contacts since we first mentioned the feature. 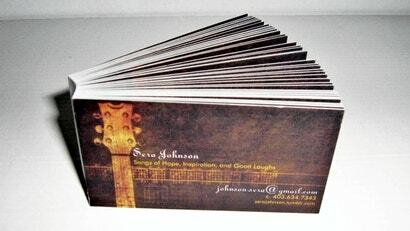 Business cards are meant to be a statement as much as a means for people to get in touch with you. Author and publisher CJ Chilvers recommends using blank business cards to personalise on demand, creating a more powerful and unique impression. Android: You go to a conference, you get about 40 business cards, and, well, maybe you remember to go through each and every one and add their details to your contacts. Or you fire up CamCard on Android, snap a picture, and have its text quickly transcribed and entered into your contacts.